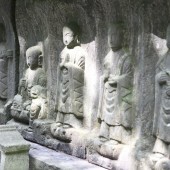 The six Jizos are aligned side by side. 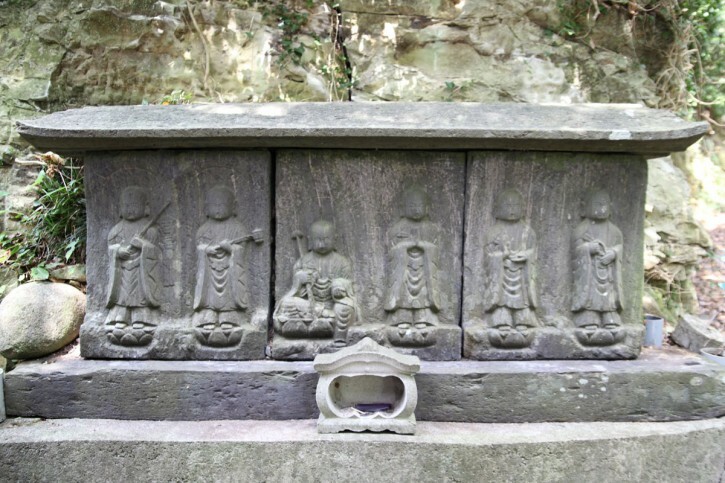 There are three stones with two carved Jizo on each, and there is a long stone roof on the top. 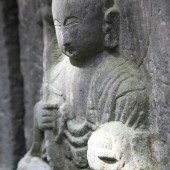 According to Buddhism, after death, people are sent on one of six roads: “The Road of Hell, The road of Carnage, The Road of the Devil, The Road of the Beast, The Human Road, and The Road of Heaven”. Which road you take depends on how you have lived your life. These Jizos are located in the borders of villages or crossroads to give mercy to people who are on their way.